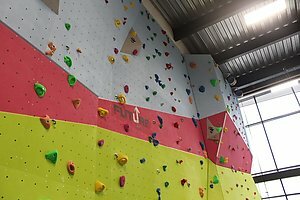 Do you want to use your sport and climbing experience to enable young people to learn new skills and access our indoor climbing wall? Do you enjoy helping young people overcome challenges and seeing them achieve? You will be passionate about ensuring all young people have a safe and fun experience when accessing the climbing wall. Barking and Dagenham Youth Zone, named “Future” by local young people, will be the first Youth Zone in London opened by the national charity, OnSide in Spring 2019. This is an exciting and unique opportunity to join the delivery team pre-opening and play your part in history, shaping opportunities for London’s young people and supporting Youth Workers. Future’s state-of-the-art £6.5 million building on Parsloes Park, will provide young people with access to a range of activities, all offering young people the opportunity to try new things, meet new friends and gain support from friendly, warm and positive staff and volunteers. The facilities include a 3G pitch, a gym, sports hall, recreation area, and dance, arts, music and media suites seven days a week, with state-of-the-art facilities equipped for a wide range of sporting, artistic, cultural and general recreational activities and targeted services. To access a Youth Zone, young people aged 8 – 19 (or 25 with additional needs) simply pay 50p per visit and £5 per year membership.